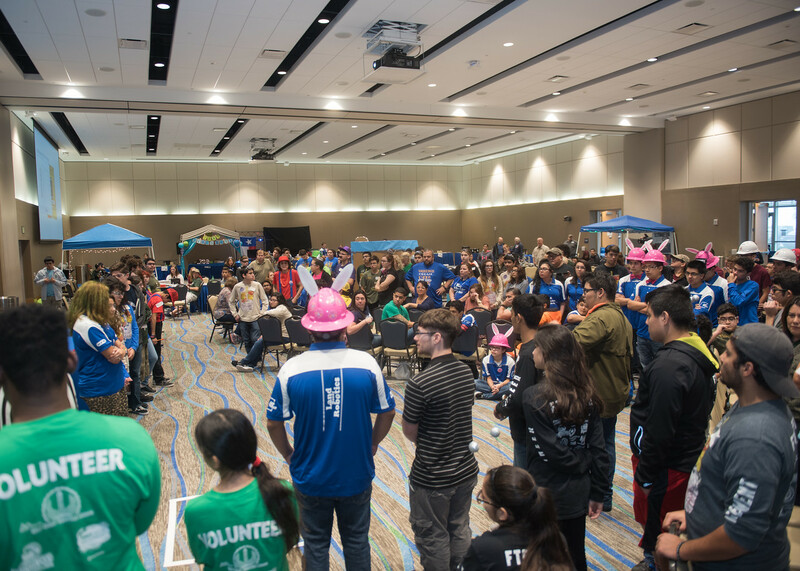 CORPUS CHRISTI, Texas – More than 200 Coastal Bend students demonstrated their passion for science, technology and robotics during the Texas A&M University-Corpus Christi Annual “For Inspiration and Recognition of Science and Technology (FIRST) Tech Challenge” on Jan. 27. 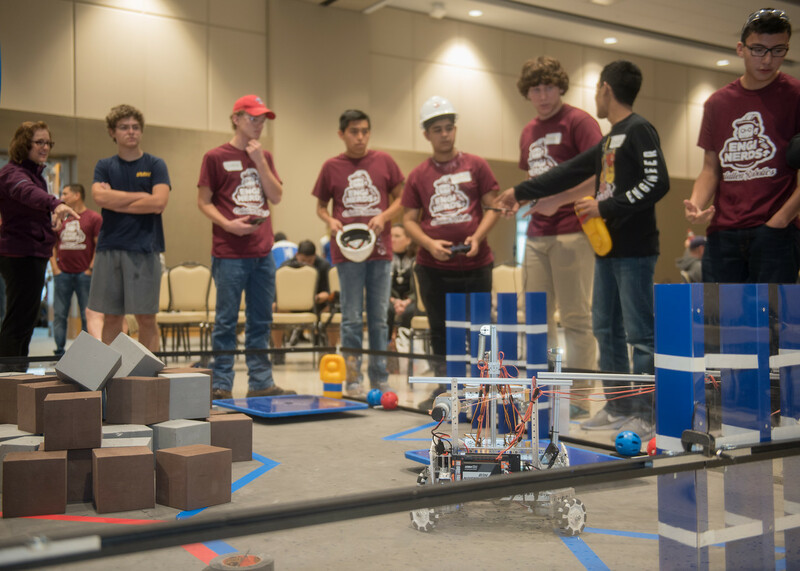 FIRST Tech Challenge participants designed, programmed and built robots based on engineering principles to compete for a place in the FTC Alamo Regional/State Championship. 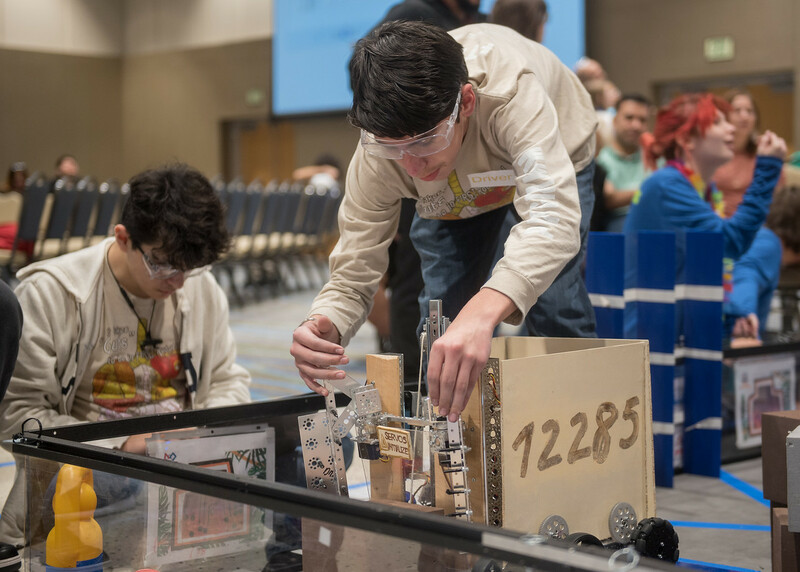 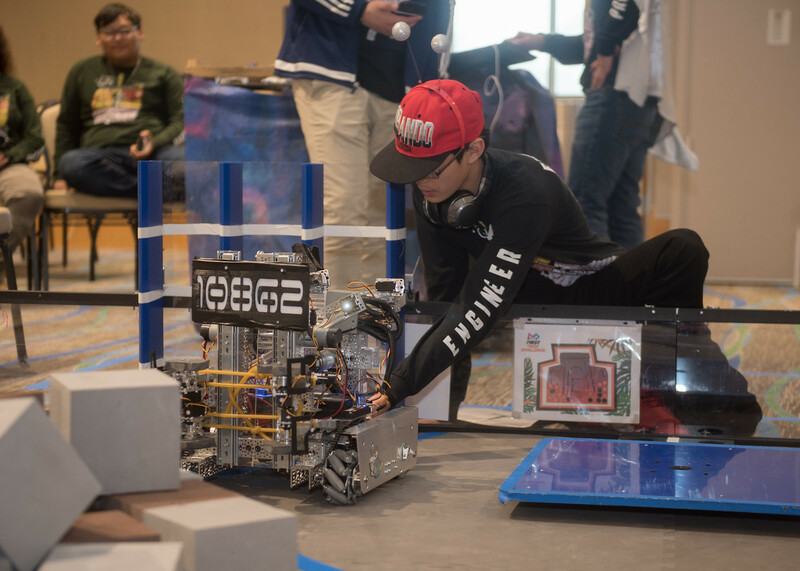 The theme of this year’s FIRST Tech Challenge’s was “Relic Recovery,” which simulated an archeological adventure where the teams were challenged to apply real-world math and science concepts to create a hand-made robot capable of overcoming obstacles and tests. 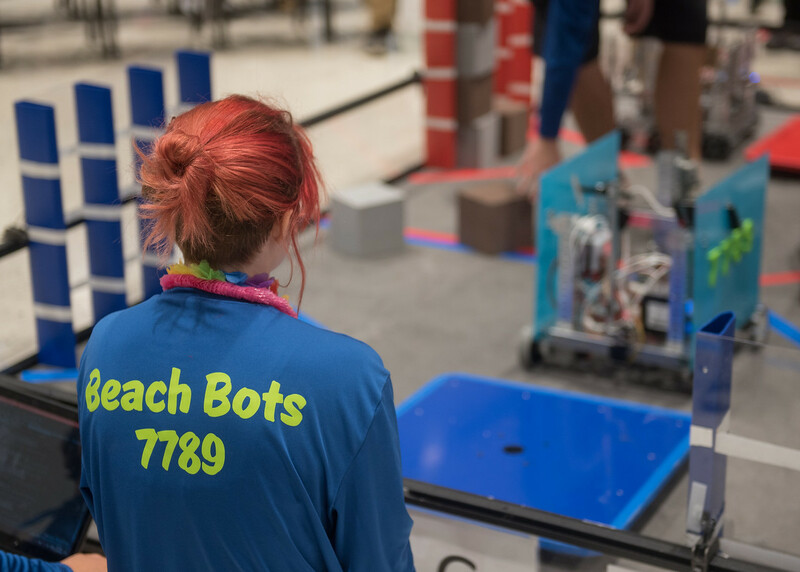 The robots’ mission was to decipher glyphs to crack a code, pick up the glyphs and put them into crypto boxes. 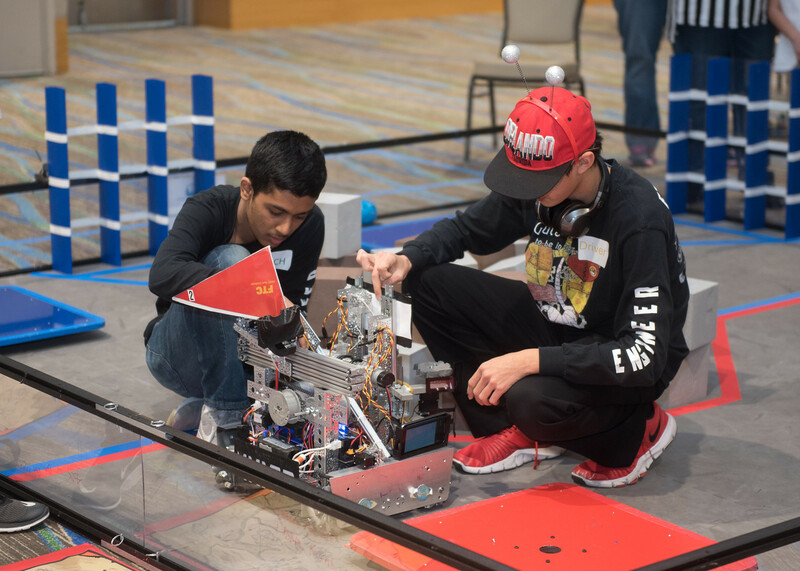 The robots’ adventurous mission was completed when the recovered relics were taken into a safety zone. 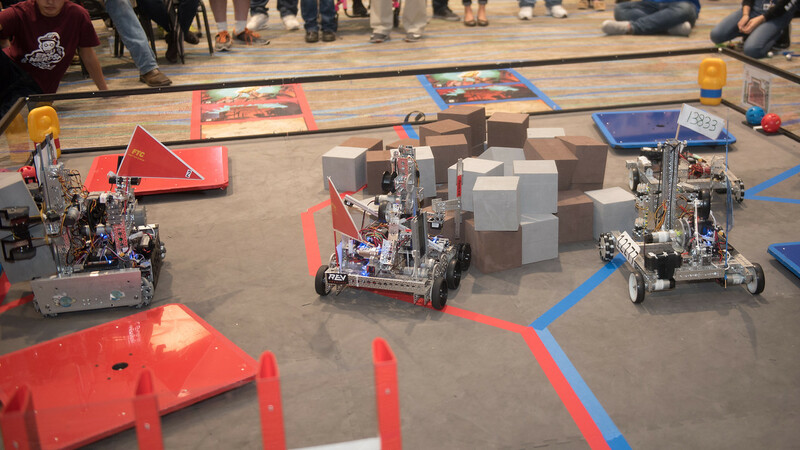 The teams worked in an alliance format, which paired two teams against another set of teams to score and collect as many points as possible. 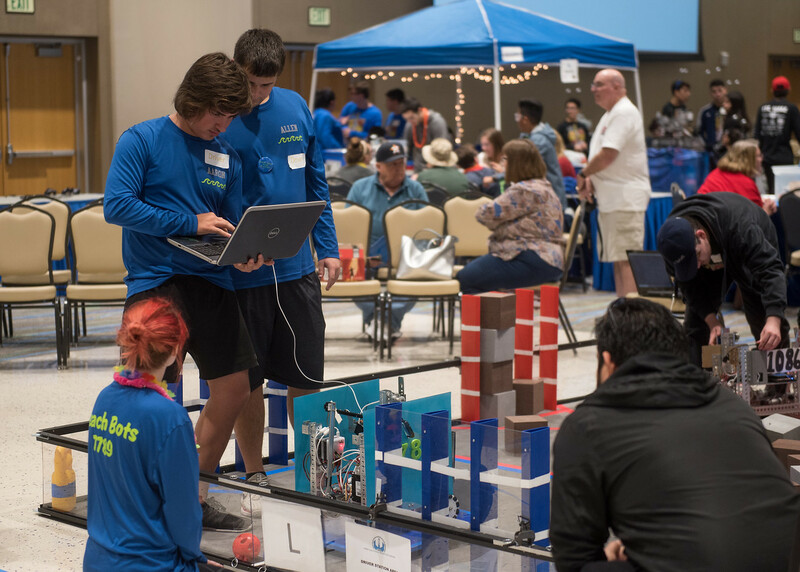 Family members and friends cheered on participants and winners from the beginning of the competition to the end. 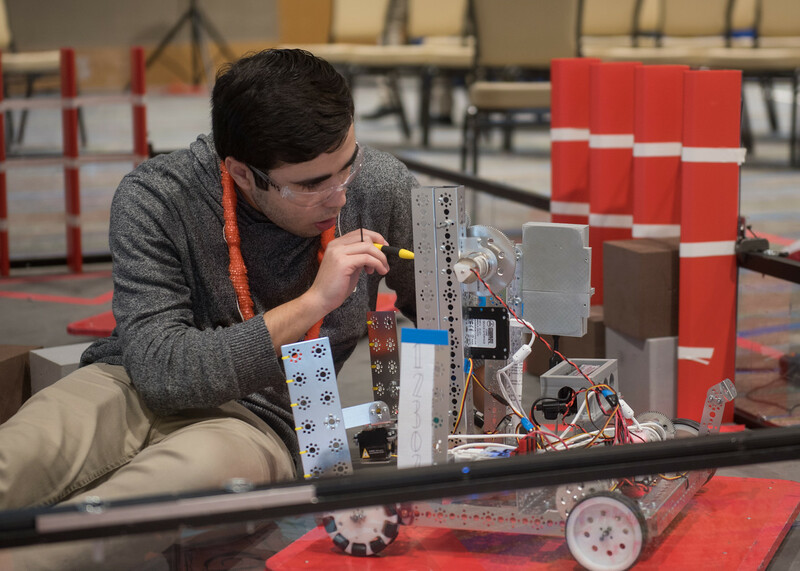 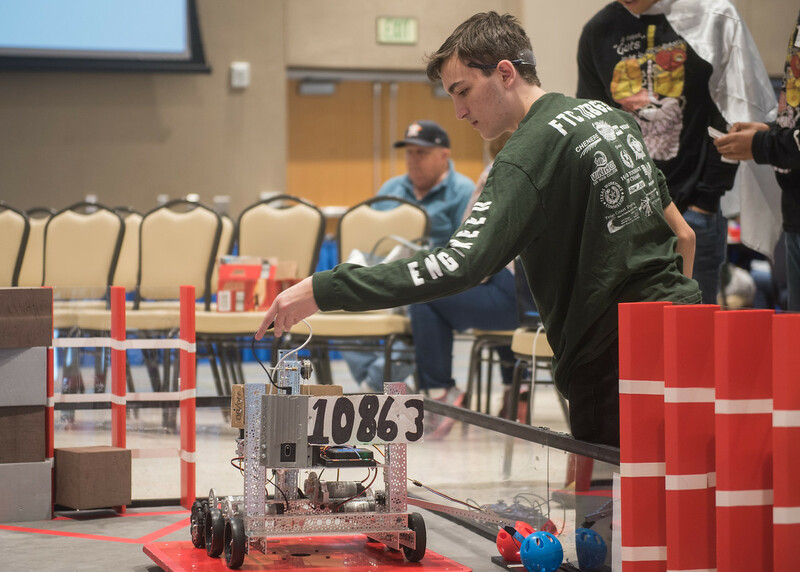 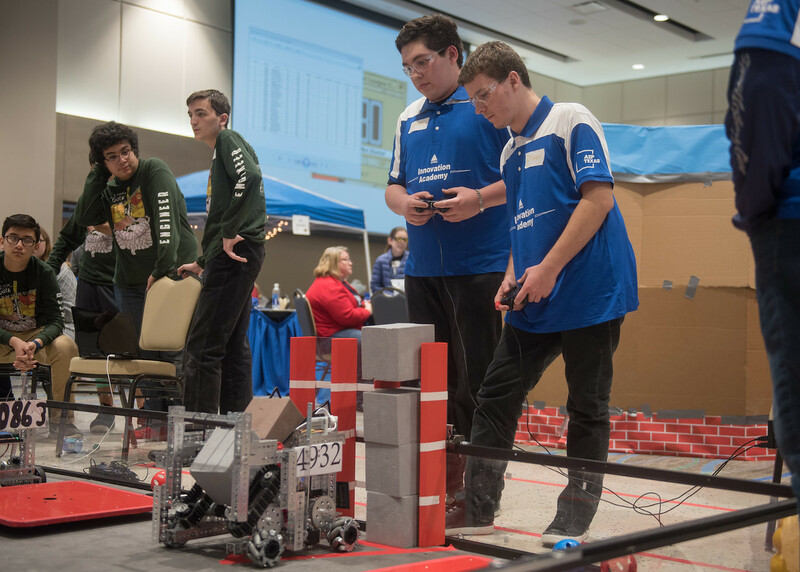 This year, six teams earned a direct advancement to the FTC Alamo Regional/State Championship in Austin, for their community outreach, design and other real-world accomplishments. 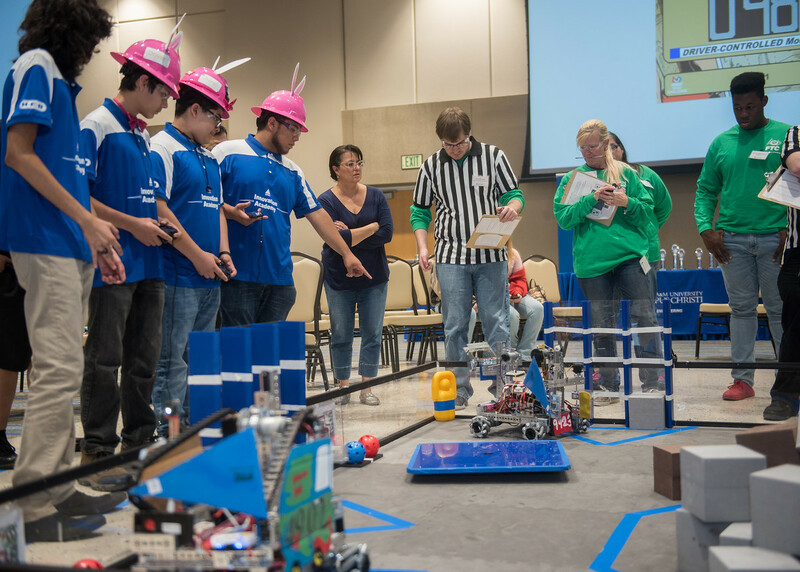 Additionally, four teams advanced to the FTC Wild Card Competition in Laredo. 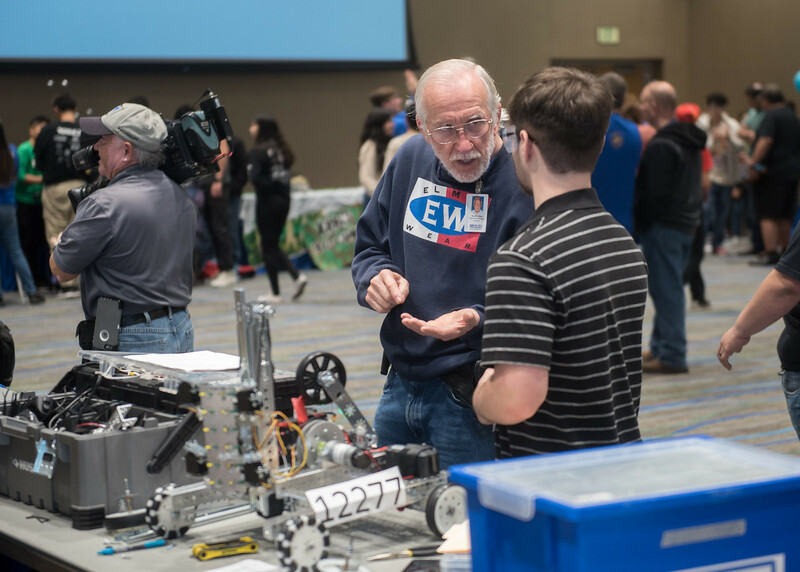 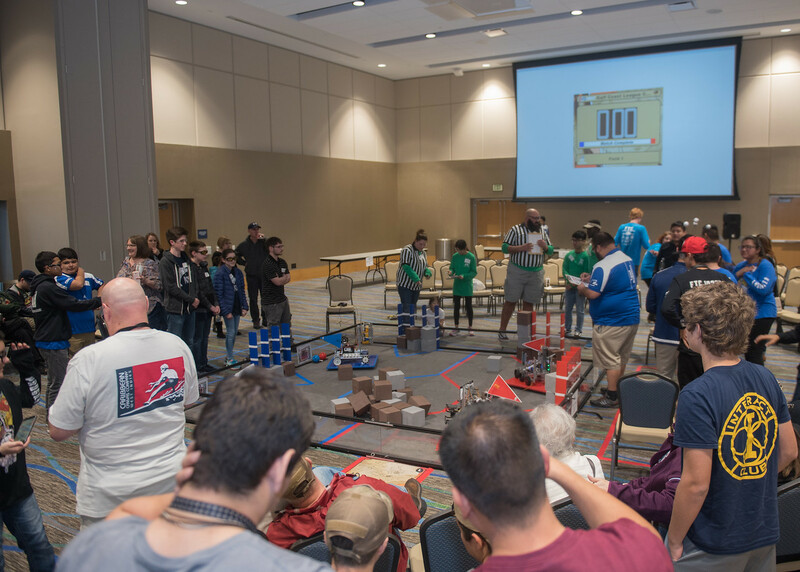 The Department of Engineering co-hosted the FIRST Tech Challenge in partnership with the FIRST Gulf Coast Robotics League. 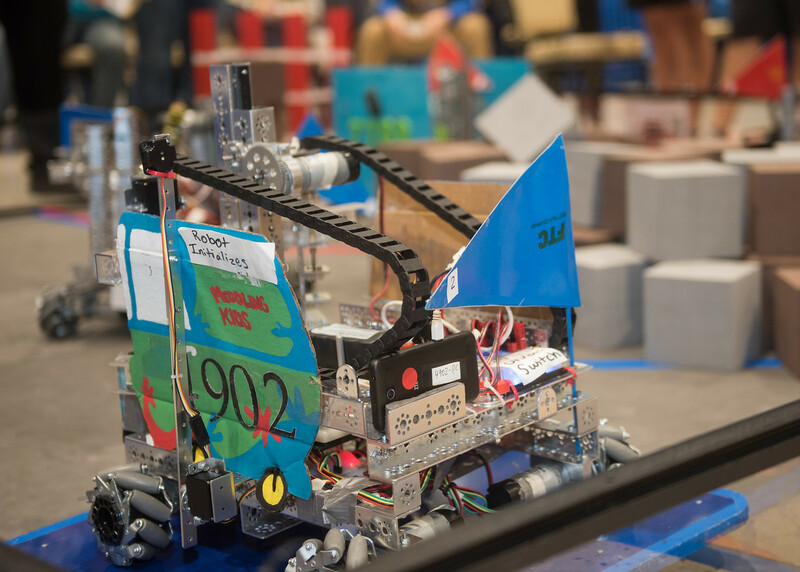 FIRST is a not-for-profit science, technology, engineering and math program for kids worldwide.